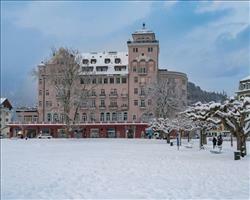 The ultimate guide to Interlaken ski holidays. 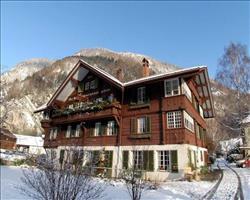 Interlaken is based in the heart of the Swiss Alps with easy access to the vast Jungfrau region. With a unique lakeside location, it has some breath-taking scenery and tonnes of activities for all ages. It’s ideal if you fancy doing a bit more than just skiing and fancy exploring some of the Bernese Oberland, home to Switzerland’s medieval capital, Bern. Sat in the heart of the Bernese Oberland, Interlaken is an attractive town with good transport links - its own well-connected rail station and 4 airports within a 2 hour drive. Although it doesn’t have its own skiing, this is a super base to reach the renowned Jungfrau ski area (213km of pistes) as well as other smaller local ski resorts (Wilderswil, Beatenberg and Hapkern). Positioned between Lake Thun and Lake Brienz (Interlaken literally translates to ‘in between lakes’) it has some breath-taking views of the legendary Eiger, Monch and Jungfrau peaks (take the funicular to Harder Kulm to experience these incredible vistas at 1322m). Not just a place to go for its surroundings, the old town has some stunning architecture with a monastery dating back to 1133 and a pretty square that fills with stalls during festive events - if you’re lucky you might get a glimpse of Samichlaus in December... It’s also a hugely popular adventure hub for outdoor enthusiasts with a huge range of adrenaline sports on offer in both winter and summer. Train and bus access to the prestigious ski resorts of Wengen, Grindelwald and Murren are included in the Jungfrau Sportpass. It’s one of the oldest ski areas in the world, and the original cog railway (which acted as a lift before gondolas and chairlifts existed) is still running today. It’s also James Bond territory - visit Piz Gloria, the evil lair of Blofeld in the Bond film ‘On Her Majesty’s Secret Service’. NB: There is a small resort tax usually payable on arrival (whilst you complete your registration form for the Jungfrau Region Guest Card) but this cost is included in many of our holidays – just check with us when you are booking. View our detailed Interlaken snow forecast or snow report and see all live webcams, piste maps, road and travel maps and lift pass prices. For a picture of historic snow conditions see the snow depths month by month with our Interlaken snow history. We love Wengen’s ‘learn to ski zones’ and there are lots of blues to progress onto (# 22 has some awesome views of the Eiger). Murren’s nursery slopes (Snowli Kids Centre and Allmenhubel beginners area) are more snow-sure if you’re here at the beginning / end of the season. Grindelwald also has a 30km/h speed limit slope (# 1), ideal for nervous skiers. The variety of pistes from the three different resorts makes the Jungfrau ski region ideal for intermediates and half of the overall pistes are red. A favourite is #13 that starts at the top of the Obere Hubel at 2439m - the views are unbelievable. If you head to the top of the Männlichen or Lauberhorn you can enjoy a great network of reds or further afield near Grindelwald there are two fabulous long descents on the First. For real challenge-seekers, there are 43km of black runs (the hairy ‘Oh God’ in Wengen is a must-try) as well as good off-piste trails like ‘Inferno’ and the ‘White Hare’. Free-riders can taste the thrill of heli-skiing/boarding and enjoy the fresh powder under the Eiger in Grindelwald, or the Matterhorn on a day trip to Zermatt. The Im Rad snow park in Murren has kickers, slides and boxes and the White Elements park in Grindelwald is over 650m long - so there’s plenty to keep the freestylers and thrill-seekers happy. Snowboarders have the 1200m long Snowboard Valley (lots of natural pipes for every level with a snake jump, half pipe and bridge over the railway). For something different, a variety of diverse cross-country ski trails cater for both classic and skate style skiing (you can even compete on the track between Lauterbrunnen and Stechelberg with an online ranking system). As you come of the slopes, Espresso Bar in the Hotel Spinne (Grindelwald), the Balloon or Tachi Bar (Murren) and Tipirama or Rocks Bar (Wengen) are all good places for a spot of après ski. Grindelwald has the most bars and best nightlife out of the resorts, with the Lauberhorn at the top of the downhill being the best on-mountain spot for après. Once you’re back home, stroll down the half mile stretch (Hohweg) of hotels, bars and restaurants in Interlaken and try a cocktail with a view at Top o’ Met, or soak up a kitschier vibe at Victoria Bar. Everyone heads to Matten to party into the early hours in Caverne, Maya or the popular Metrobar (full of young backpackers). Goldener Anker is a local treasure with great live gigs and yummy home-cooked food to suit everyone, as is the 3 Tells Irish Pub which has a cheap, informal bar area. Brasserie 17 has live music and over 20 types of beer or for something different, knock back tequila shots to Mexican music at El Azteca. You’ll find every type of cuisine from steak and grills at Johnny’s to traditional Swiss comfort food and beer in Husi Bierhaus and Restaurant Baren, famous for its fondue. If you’re in the Alps celebrating something special, Restaurant Taverne, Benacus and Café de Paris all offer delicious haute cuisine. It would be criminal to visit Switzerland and not try their delicious chocolates and pastries so a trip to Schuh is a must. There’s also the opportunity to fill up your picnic basket with regional treasures (alpine cheese and goat’s sausages) at the daily Swiss Mountain Market. There’s just not enough ink to print all the activities available... adrenaline junkies can sink their teeth into bungee jumping, ice climbing, paragliding and sky diving as well as glacier trekking and Nordic walking. There’s also bowling, a cinema, indoor climbing wall and Grindelwald’s ‘Big Pintenfritz’ - the longest sledge run in the world! 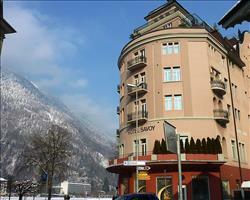 When is the best time to ski Interlaken? January and February usually have the best snow conditions but if you want to top up the tan, March and April may be a better bet. If the snow needs topping up at the start of the season, snowmaking facilities have been considerably improved in recent years, covering 55% of Wengen and 25% of Grindelwald. There are also and 32 snow cannons in Murren. Although the south facing slopes might not have complete snow coverage later in the season, there’s so much else to do in Interlaken that you won’t find yourself at a loose end. For the best spring skiing, head up to the Schilthorn, the Lauberhorn or Kleine Scheidegg and ski down their vast selection of high pistes. As with all resorts, peak dates will see more visitors, but the introduction of the gondola from Wengen has done a good job reducing queues. For those interested in witnessing a bit of world-class skiing, the Lauberhorn World Cup Race in Wengen and the Inferno race in Murren usually take place in January. In Interlaken itself, kids have almost too much choice outside of skiing... The incredible adventure facilities include the Rope Park, ice rinks, and numerous adrenaline centres. There are also some cracking indoor facilities where you can swim, bowl, skate, play tennis or visit the cinema whatever the weather. You can’t miss popping into Schuh to spend some holiday pocket money on some chocolate treats. Restaurant-wise you’re spoilt for choice; the Goldener Anker is a great choice for a family lunch with ample space and a warm, relaxed atmosphere. That’s if they can tear themselves away from the awesome Jungfrau ski area, which is accessible via train/bus... The Wengen ‘learn to ski’ zones are a perfect place to learn and the two snow parks - White Elements in Grindelwald and Im Rad near Murren should keep the more experienced amused for hours. If you’d prefer some more accommodation options before you make a final decision, have a look at our family holidays in the other Jungfrau resorts here. 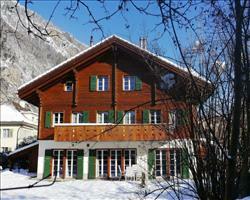 Wengen, Grindelwald and Murren are closer to the same slopes you’d ski from Interlaken. Wengen is a popular choice for families as it is traffic-free, and we love the Snowli Kids Centre in Murren, while Grindelwald oozes traditional alpine charm and has some really interesting history. With transport connections to various ski areas including the Jungfrau well as a hub of various activities for non-skiers, Interlaken can be a great choice for a group holiday. Accessible via train and bus, the Jungfrau ski region has 2 snow parks for adrenaline seekers and over 200km of pistes to cater for all abilities, including beginner slopes at Wengen, Grindelwald and Murren. As well as lots of shops, bars and restaurants, Interlaken has an indoor ice rink, bowling alley and even a casino on top of its unbelievable selection of more adventurous pursuits like bungee jumping – perfect for keeping non skiers occupied during the day or grouping together for an après ski activity later on. Friends can chill out in a café with some Swiss hot chocolate, hit the billiards hall, catch a film at the cinema or party the night away in a Matten club. You’ll find multiple live music venues including Brasserie 17 and a great selection of restaurants along the Hohematte to suit everyone’s tastes. Most of our accommodation in Interlaken comes in the form of hotels; staying in a hotel is a great choice for large groups as it avoids the self-catering dilemma of cooking for everyone and allows people their own individual space, rather than being together 24/7... 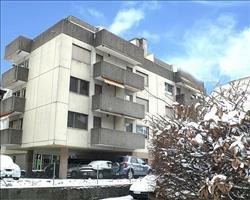 It also usually means any stragglers can book later on - avoiding the problem of having to fill a large chalet quickly!